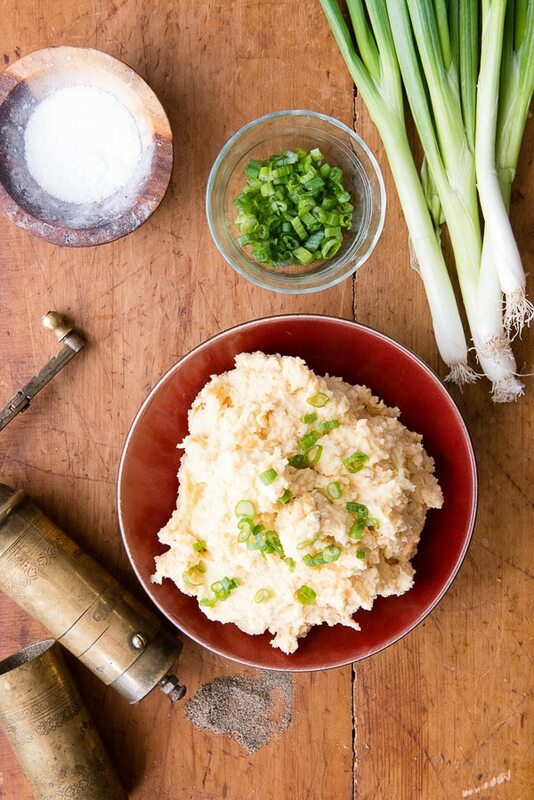 What if I told you this smoky, tangy recipe for Smoky Chipotle Garlic Mashed Potatoes could be ready in less than 15 minutes and not using your stove top? True story! Perfect for busy weeknights and holiday meals alike. 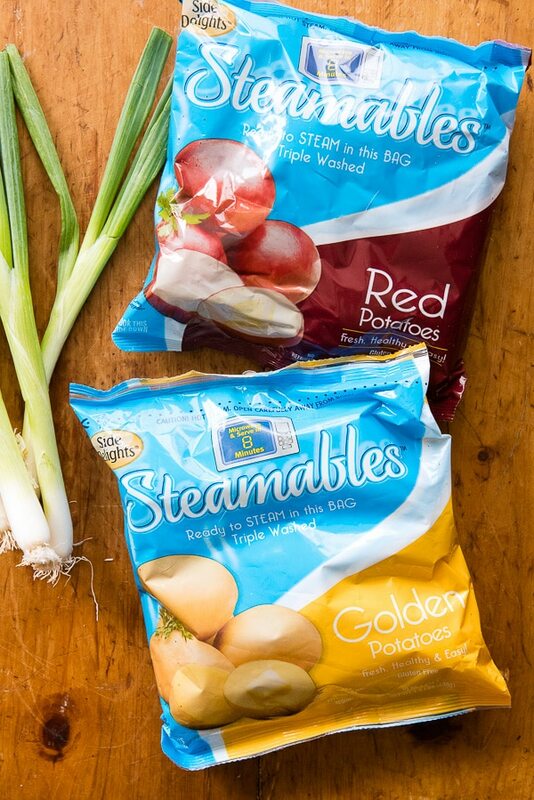 This post is sponsored by Side Delights® Steamables™ potatoes, my latest fun find! All opinions are my own. I love my girlfriends! I feel like I get the best tips from them and love the camaraderie of passing along things I run across I know they will love too. I’ve found one of my favorite kitchen gadgets through one of them (would have never guessed I’d love it so much). The best mascara, ever, through another. And a fun way to keep up on the daily news without spending hours doing it (more like 10 minutes tops and all the cool kids are doing it). Recently a gal pal turned me on to a time saver in the kitchen. Side Delights® Steamables™ potatoes. At the risk of sounding like an infomercial these really got me excited. Regular readers will know I’m on a constant quest for great, FAST dinner ideas. Life is busy. My kids are going multiple directions at once and I need to make a good dinner but really can’t spend hours doing it. Ok back to the potatoes. Steamables™ potatoes come in a perforated bag that you pop in the microwave for 8-9 minutes. They are already triple washed so there is no prep of them before cooking. They come out perfectly cooked and ready to toss with butter and herbs, or to quickly smash or mash. Since they cook off the stovetop or oven, they are out of the mainstream of preparing dinner and are done when your main dish is ready. However, if you’d rather prepare them more traditionally, let’s say throw them in with a roasting chicken, you can take them out of the bag to do that too. They are specially curated to be comparable size so they cook evenly. The potatoes are available in 8 different varieties. I’ve made the Red Potatoes (smashed with butter, splash of milk, chopped chives, salt and pepper) and Golden Potatoes. 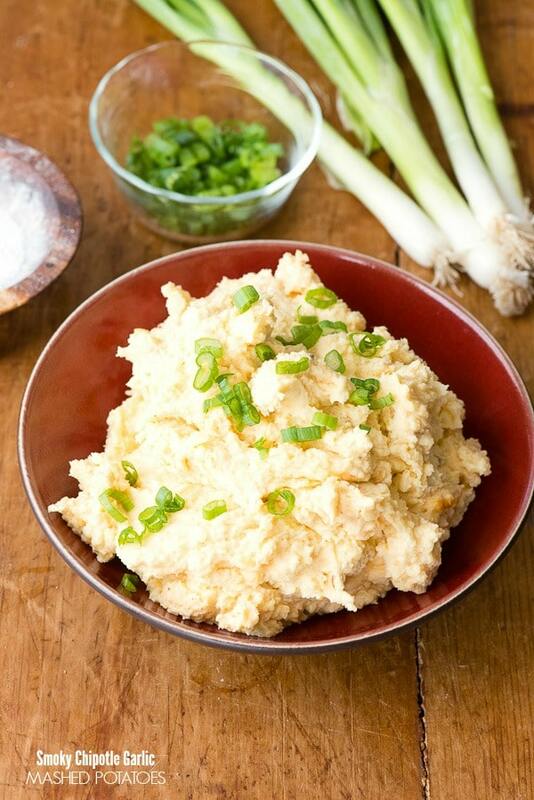 I’m sharing a recipe today that I made with the Golden Potatoes that my family l.o.v.e.d: Smoky Chipotle Garlic Mashed Potatoes. 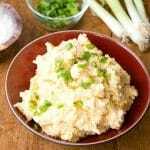 Smoky Chipotle Garlic Mashed Potatoes are super easy to make and have a great flavor combo from sour cream, adobo sauce (from chipotles en adobo) and garlic paste. 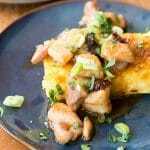 They take on a warm, glow from the adobo sauce and are so tasty! My preferred method for making mashed potatoes uses a potato ricer. This actually was influenced from my husband who made them this way before we met. I poo-poo’d it until I realized how smooth the potatoes are! The great thing too if you are using Steamables™ and aren’t keen on potato skin, the ricer takes care of that. Think of it like a garlic press but for potatoes. Here is the question of the day. When I made the smashed potatoes, my daughter asked what the difference between mashed and smashed potatoes were. 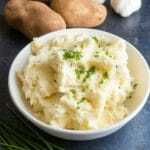 I explained smashed potatoes are just that, cooked potatoes smashed with a masher with flavor ingredients added in; to me they are more rustic in texture. Mashed potatoes are smoother in texture. 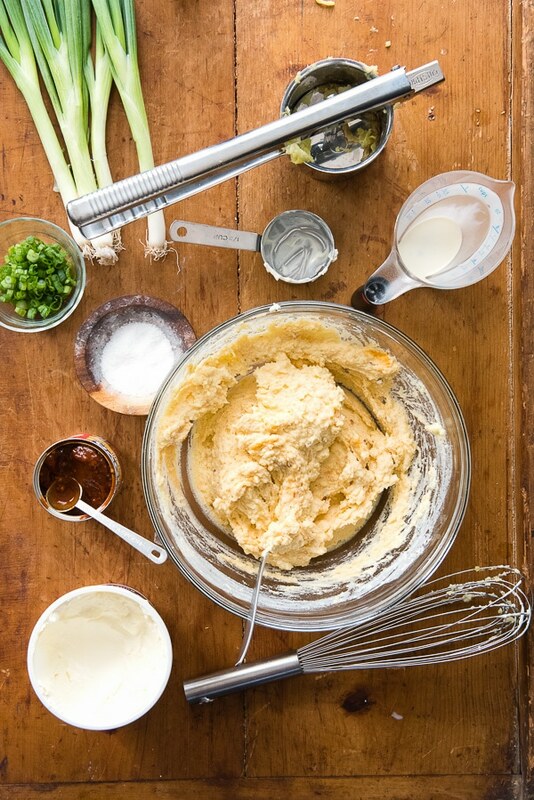 What is your favorite way to prepare potatoes, smashed or mashed?! These potatoes could not be easier or faster to make. That doesn't make them boring, far from it. The smoky, spicy adobo sauce and garlic bring a touch of heat and the sour cream delivers a nice tang. 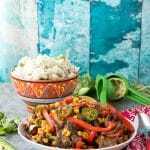 A great recipe to perk up a weeknight dinner or even for Thanksgiving. 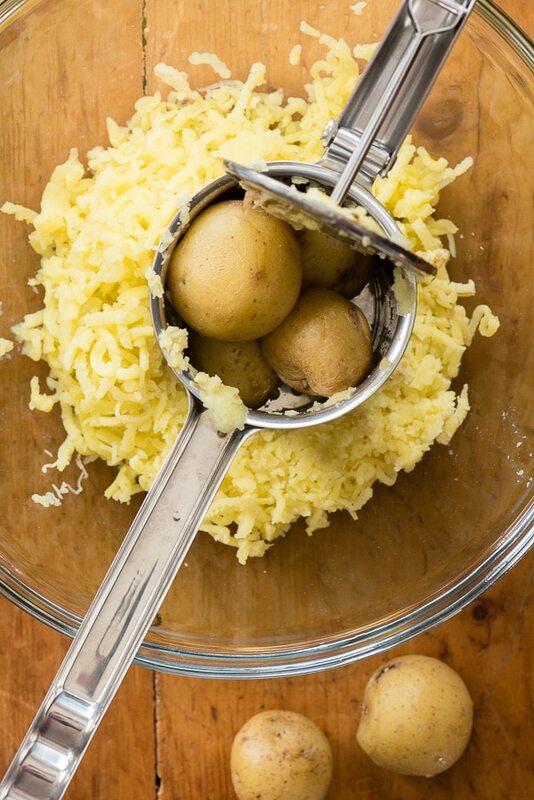 Pass the prepared potatoes through a ricer; or use a handheld masher or mixer to mash. Add the butter, sour cream, milk, garlic paste, adobo sauce, salt and pepper. 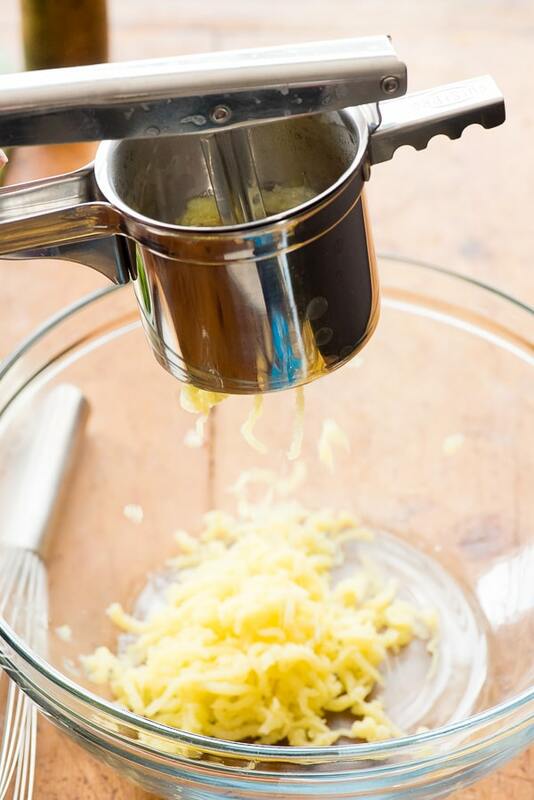 Hand mix to fully combine and allow the butter to melt. I love potatoes, and I love the idea of cooking them quickly. I didn’t know about Steamables – they will be on my regular shopping list from now on. I only have one question regarding this recipe, however – how do you keep from eating them ALL at one sitting? They sound too delicious to stop eating until they’re gone! It’s not easy, my friend! These look so delicious! 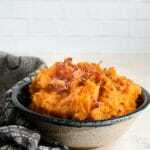 I am always looking for new potato recipes, so I will be giving this one a try. These look and sound delicious! I have the perfect dish that these would go with! I can’t believe this dish wasn’t cooked on a stove! It looks really good and it’s the perfect side. I would love to keep the recipe. It’s easy and it’s also packed with flavor! YUM! Using a ricer makes that best mashed potatoes. The smoky chipotle flavor sounds amazing.